Bustling with plenty of chic bars and fine dining haunts, North London has no shortage of stylish hangouts. 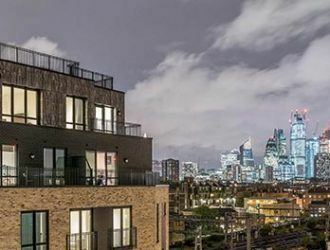 From the ever vibrant social scene in Camden to Islington’s lively Upper Street, you’ll always find new pop-ups and something going on when living in North London. So, we’ve wandered around the north of the capital to find the very best places to eat, drink and play. All suitable whether you’re looking for your next cocktail bar or brunch date. 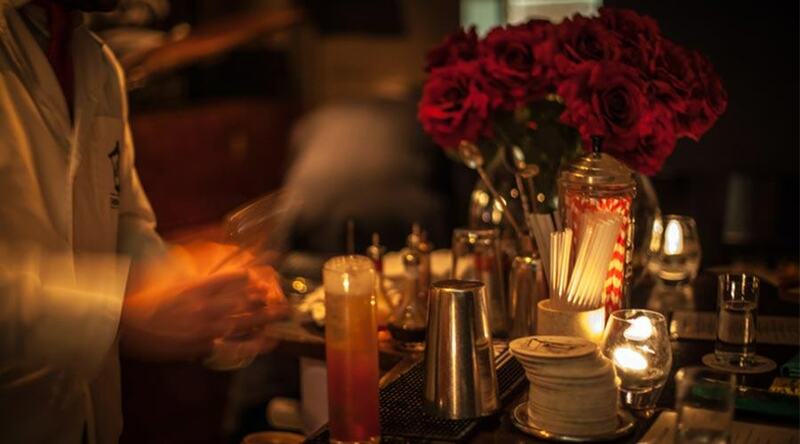 69 Colebrooke Road, otherwise known as ‘The Bar with No Name’, evokes the mystery and intrigue of American speakeasies from the 1920s. Oozing exclusivity yet a neighbourhood-minded spirit, the bar is the ideal spot for a date or special occasion. It’s nestled just off of Islington’s Upper Street, so easy to get to. The cocktail menu has been cleverly crafted by the bar’s master mixologist, Tony Conigliaro. So you can always expect something with a little extra pizzazz. If you want to try your hand at cocktail-making, the bar hosts regular masterclasses throughout the year, depending on what your drink of choice is — from gin to champagne to tequila. If you’re looking to find your next brunch spot, The Haberdashery in the heart of Crouch End is a major contender. Using only the freshest and seasonal ingredients, the lovingly created dishes range from breakfast buns and eggs to a full English (vegetarian and vegan options available) and smashed avocado on toast. You’ll also find a counter full of pastries and cakes if you’re tempted by something sweet. Part of the charm of The Haberdashery is the café’s mismatched interiors. Think dainty tea plates, old-school wooden stools and a wall mosaic of Victorian fireplace tiles. Don’t have time for brunch? 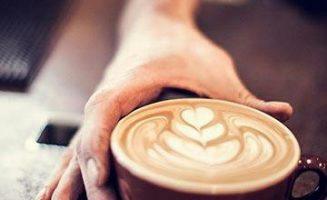 The café is also a good choice for a coffee on-the-go, as supplied by local London roasteries. Cocktail lounge and restaurant Hoxley & Porter in Islington offers just the right atmosphere, whether you’re visiting for evening cocktails, weekend brunch, or Sunday dinner. The menu boasts modern British cuisine. The chefs pay a particularly close attention to detail when it comes to the presentation, so your taste buds (and eyes) can expect to be treated to a fine dining experience. Inside, the décor is reminiscent of an exotic Victorian parlour, with its mix of opulent velveteen armchairs, gold leaf furnishings and leafy foliage. The drinks menu perfectly matches the interiors, with the bar’s expert mixologists creating a delectable selection of all of your favourite cocktails. Tantalise your taste buds at European fine dining restaurant, Salut!. With a regularly rotating menu, the chefs are unafraid of experimenting, interspersing classic dishes like beef tartare and duck breast, with the more acquired fish eggs and wood pigeon. It’s worth indulging your sweet tooth too; the restaurant’s menu of desserts is unmissable. Located in between Canonbury and Dalston, the restaurant is a hidden gem of the area. The sleek vintage interiors and brasserie style tables beautifully complement the restaurant’s rustic, Parisian air. 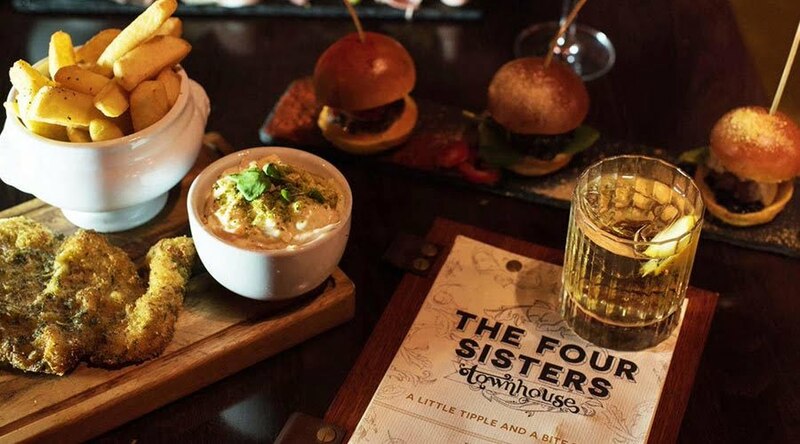 Wander off Islington’s Upper Street to uncover the popular Canonbury bar, The Four Sisters. With a dark Dickensian vibe, complete with leather Chesterfield sofas, gilded mirrors, and dark-wood tables, the bar’s a good choice for an evening drink. Choose from their elaborate cocktail menu, which includes all of the classics, as well as some of the bar’s very own signature drinks. 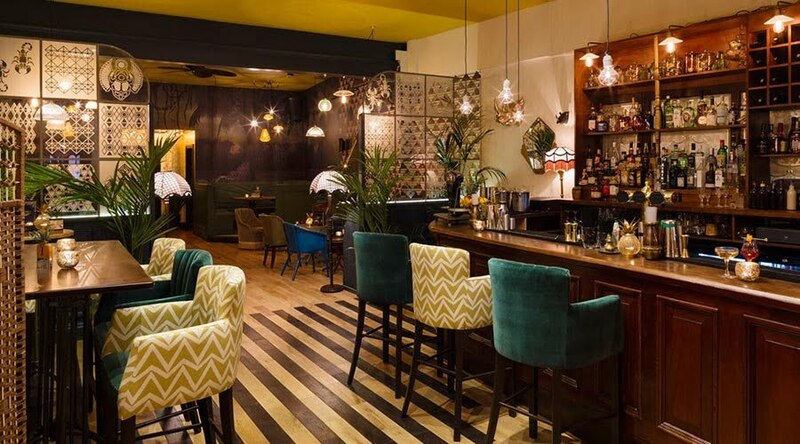 Or if you’re looking for something simpler, the bar is lined by an array of different spirits; the bartenders will be able to recommend a gin or vodka to suit your tastes. Inspired by the tastes of Southern Italy, Radici serves an abundance of pasta, pizza and salad dishes. You’ll be spoilt for choice with their selection, whether you favour a rustic stonebaked pizza or creamy tagliatelle. The waiters are also available to help you choose the optimum wine pairing for your dish from the extensive wine list. If you consider yourself something of a chef-in-the-making, sign up to one of the restaurant’s masterclasses and perfect your Italian cooking skills from their Islington-based kitchen, mastering homemade pasta, pizza and tiramisu. You don’t have to be a cyclist to head to Look mum no hands! on Old Street. 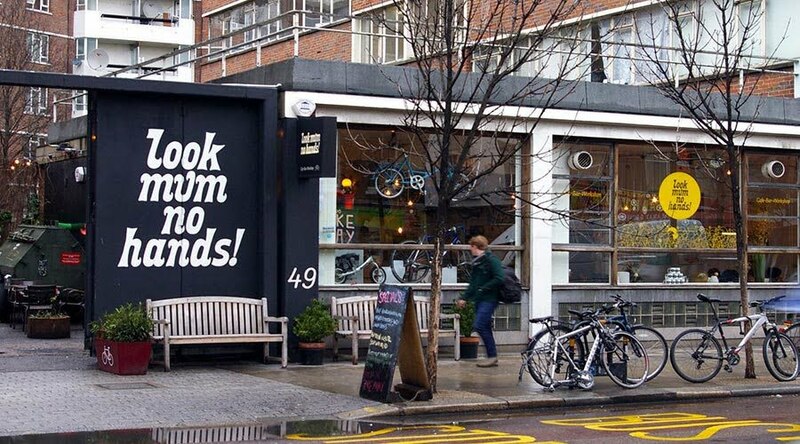 The café became one of the first cycle cafés, but it’s now much more than that. You can enjoy a delicious selection of coffees, brunch food and local craft beers, whether you turn up on a bike or not. All of their coffee has been supplied by independent roasteries, whilst their beer menu is a mix of UK breweries and classic German craft beers. 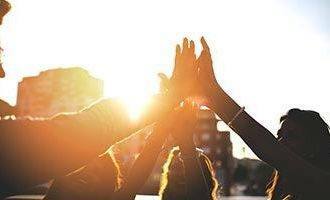 The café radiates creativity, playing host to a number of events throughout the year, from pub quizzes and DJ nights, to cycling workshops and race screenings. 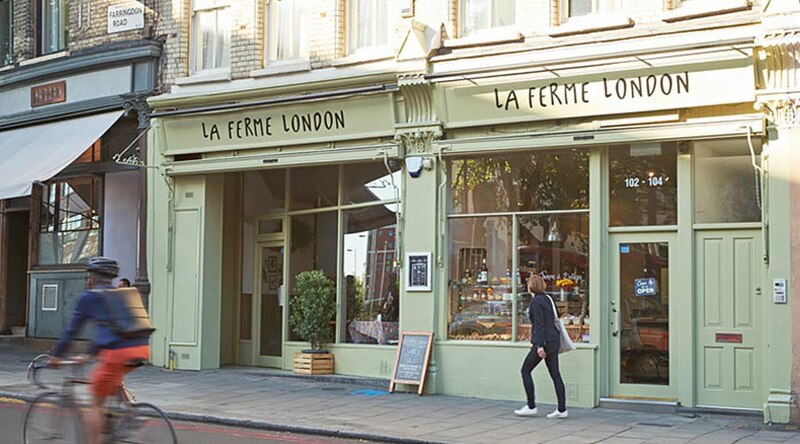 Modern fine dining restaurant, La Ferme London, offers a refined menu of French delicacies. You can expect much more than baguettes and cheese boards, though – the restaurant serves up an indulgent selection of dishes, from a creamy asparagus risotto to a garlicky rib-eye steak, as curated by head chef, Guillaume Dunos. There are also plenty of signature and house wines available to accompany your food. 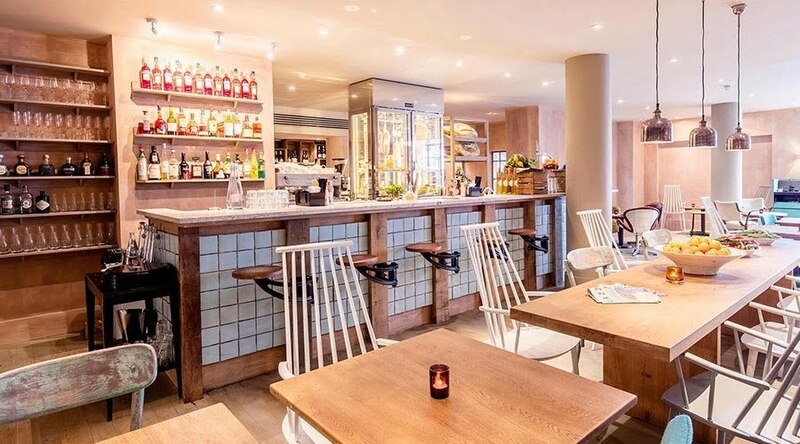 Inside, you can enjoy a chic, airy Parisian atmosphere thanks to the venue’s rustic exposed brick walls, salon style seating and hanging pot plants; all without wandering outside of Primrose Hill. 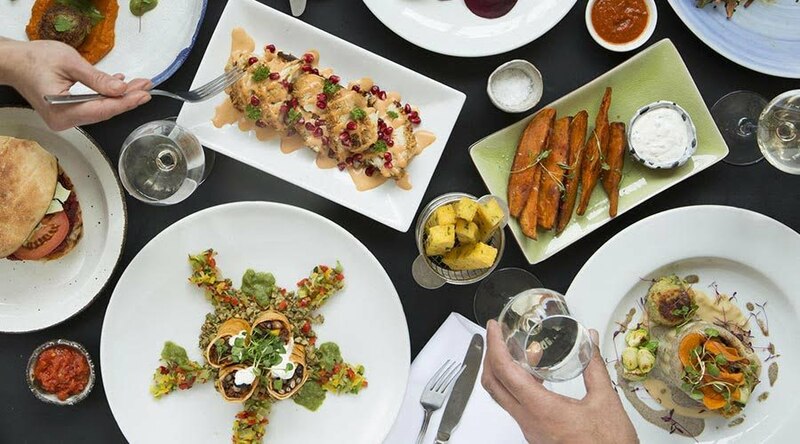 Vegetarian and vegan restaurant, The Gate, has become highly acclaimed for its plant-based menu, delighting even those without a meat-free diet. The restaurant’s first venue in Islington is still it’s best and busiest since opening back in 1989. Choose from their à la carte, weekday lunch, brunch, and Sunday roast menus for delicious dishes around the clock. Expect an eclectic array of flavours, from their root vegetable rotolo to wild mushroom risotto, Bailey’s cheesecake to prune and apple crumble; all proving that plant-based cooking doesn’t lack substance. 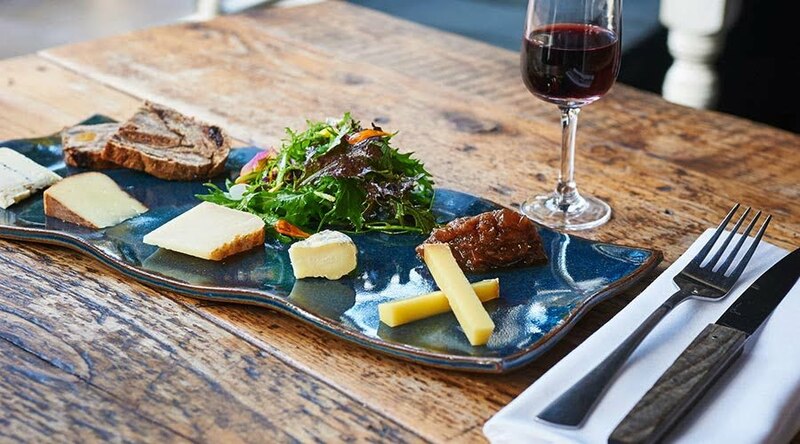 For a special occasion or date night, try their Secret Vegan Supperclub 5-course menu, complete with vegan wines. 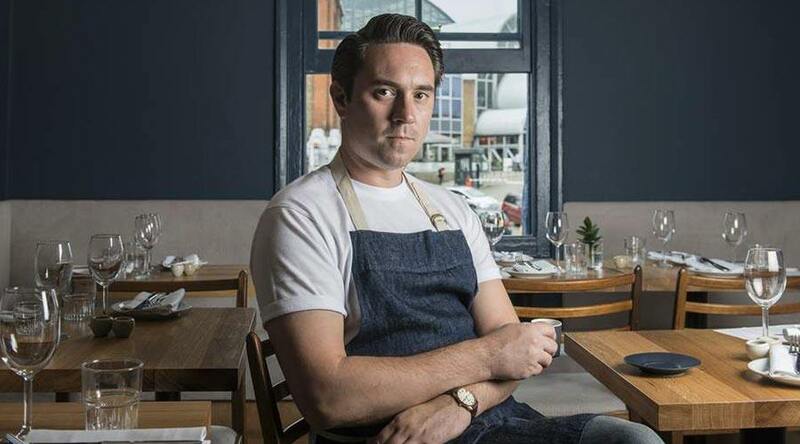 Self-named OLDROYD by chef Tom Oldroyd serves an exciting menu of European cuisine, using locally sourced British ingredients. The menus change on a daily basis, but you can always expect something exceptional to suit different tastes, from fish dishes and roasts, to salads and pastas. Sample the restaurant’s indulgent desserts too or choose their cheese platter to end your meal. Tapping into the ever-growing demand for plant-based dining, OLDROYD also serve up Meat Free Mondays. Although the restaurant is small inside, this only adds to the ambience and intimate atmosphere, making it the perfect place to enjoy with your other half. North London offers an undeniably stylish assortment of restaurants and bars, whichever area you choose to live in. 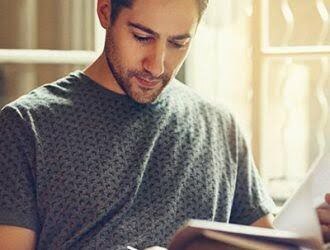 You can be right in the heart of North London living in Vantage Point, with Islington’s trendy social scene right around the corner. 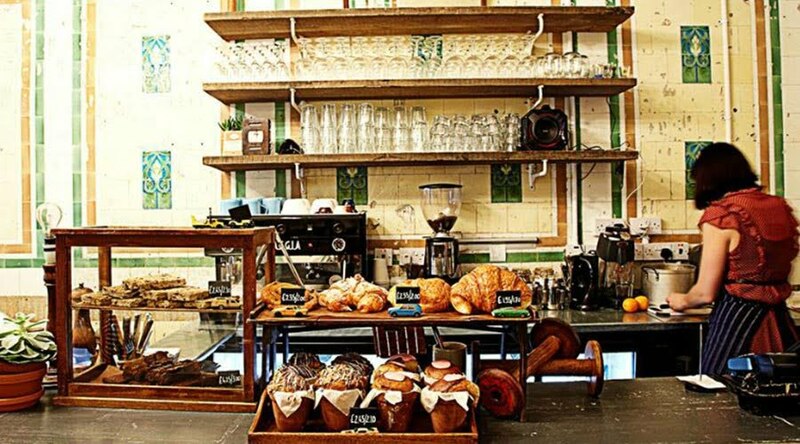 Have we missed your favourite brunch or dinner spot in North London? Tweet us @EssLiving.